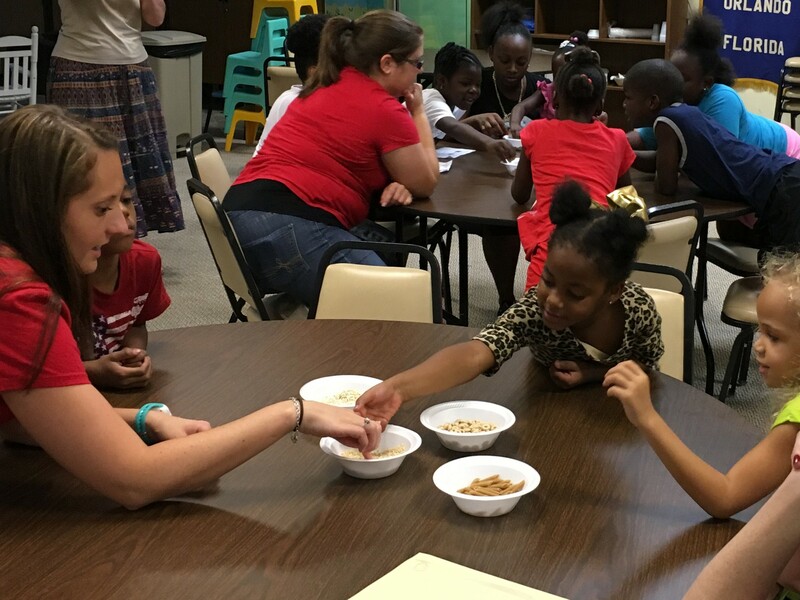 League members are continuing their commitment to bettering the lives of Central Florida’s children by participating in the Junior League’s Kids in the Kitchen initiative. JLGO members work with children in the community, as well as with children who are part of our community programs, to battle the growing problems of childhood obesity and poor nutrition in America by empowering children to make healthy lifestyle choices. They also put on two great events a year for the children of our HIP Kids program – a holiday party and field day. 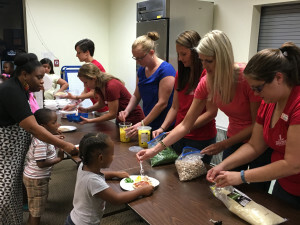 Both events provide a fun atmosphere for the children to learn about making healthy lifestyle choices, while also teaching them how to find and create affordable healthy snacks through food demonstrations. League members continuously work to educate the public about good nutrition and healthy habits by providing cooking classes, nutrition information, and recipes for healthy eating to both parents and children.